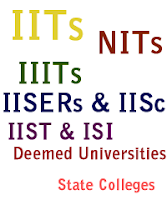 All national level institutions – IITs, NITs, IISER and IIITs to begin with are slated to accept the ISEET scores for admissions along with the School Board Examination Marks. 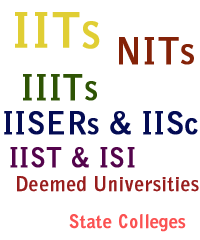 Anil Kumar Gupta, is an IIT Kanpur graduate with 19 years of teaching experience in IIT-JEE training. He has helped thousand of students (In Kanpur, Lucknow and jaipur) who have successfully cleared IIT-JEE entrance. He is very respected and very popular teacher among students. He is dedicated to the teaching profession with a zest. What the Student say about AKG SIR ? Aadhar Edu Solutions. Powered by Blogger.